Provide leadership and overall technical and management responsibility for program implementation, including staff and program activity supervision. Support development and monitoring of annual technical work plans and budget. Ensure results-oriented technical components and high-quality and timely deliverables and reports according to the cooperative agreement. Evaluate program effectiveness and determine corrective action needed to improve goal achievement, working with the monitoring and evaluation team. Oversee implementing partners and provide technical and managerial oversight and coaching for their performance. Ensure strong working relationships with implementing & technical partners, the Ministry of Health and other government stakeholders, and USAID. Ensure programmatic compliance with USAID rules and regulations. Work closely with HQ staff to ensure effective, timely and coordinated project implementation. A minimum of a Master’s degree or higher in Public Health, Business Administration, international development, agriculture or food security, or similar field is required. 10 years of demonstrated experience in implementing and/or managing large-scale donor-funded development programs is required. At least five years working on related nutrition, agriculture, food security, or MCH programs within those years is preferred. Experience working in Tanzania is strongly preferred. Sub-Saharan African implementation experience required. Prior experience as a COP, Deputy COP or equivalent is required. Supervisory experience over multicultural teams of similar scope and size is required. Extensive experience preferred with building and maintaining effective partnerships and leveraging resources with development stakeholders. Experience working with high-level government officials, USAID, and other key stakeholders is required. 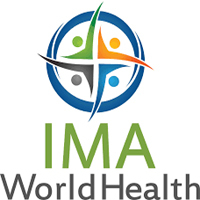 IMA World Health is seeking a Deputy Chief of Party (DCOP)/Senior Nutrition Advisor for an anticipated five-year USAID-funded nutrition project in Tanzania. The project aims to strengthen the delivery of integrated community-based nutrition services and social and behavior change communication (SBCC) in Tanzania and to build the capacity of the government and communities to sustain these activities. The DCOP will provide technical and programmatic leadership to the project, overseeing the project’s technical teams across SBCC, agriculture and other technical intervention areas for nutrition. In addition, this position will oversee the program and monitoring and evaluation (M&E) teams, lead project reporting and documentation efforts, while ensuring cost effectiveness and compliance with USAID rules and regulations. S/he will support the Chief of Party and liaise regularly with key stakeholders representing the program, including assigned USAID in-country technical advisors and other staff, relevant Ministry stakeholders, and civil society networks. This position reports directly to the Chief of Party. It is contingent based upon receipt of funding. Advice the Chief of Party on appropriate decisions and actions in nutrition and/or agriculturally-related technical issues. Provide technical guidance on nutrition policy, strategy and multi-sectoral action for nutrition programming. Evaluate program effectiveness and determine corrective action needed to improve goal achievement. Oversee implementing partners and advise on technical issues. Ensure strong working relationships with implementing & technical partners, the Ministries of Health in Tanzania and USAID. Master’s degree required in nutrition, public health, agriculture, or other relevant development field. At least 10 years of experience in nutrition and/or agricultural/food security programs, with significant expertise in developing and implementing integrated nutrition/agriculture programming. Some experience in Tanzania required. At least 5 years of demonstrated experience in implementing, leading, and managing nutrition or agricultural programs as Deputy Chief of Party or equivalent for donor-funded programming. USAID experience preferred. Strong experience required with direct supervision, and working with teams and staff from multicultural backgrounds. Tanzanian nationals encouraged to apply. Identify and train staff on appropriate nutrition, agriculture, and other relevant indicators in line with USAID, international, and national M&E standards. Oversee the program’s robust learning component, including providing technical assistance for any evaluations. Conduct routine data quality assurance process to maintain adequate quality control in all aspects of M&E from data collection to results’ reporting.